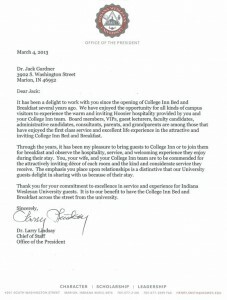 It has been a delight to work with you since the opening of College Inn Bed and Breakfast several years ago. 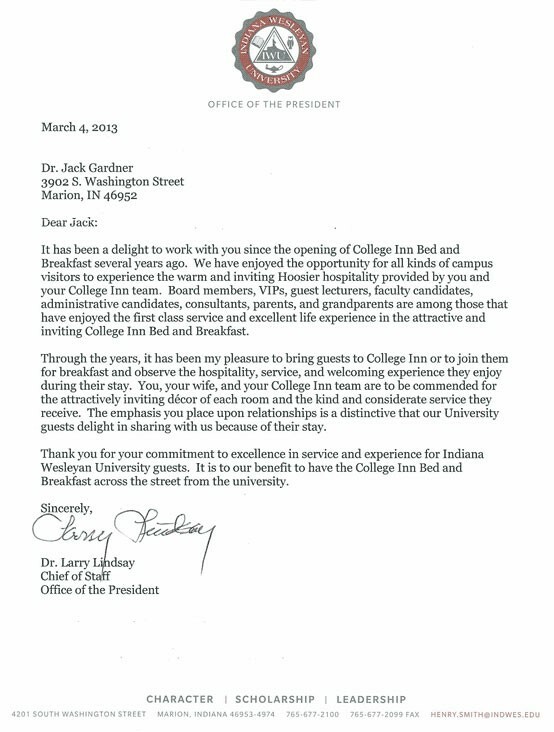 We have enjoyed the opportunity for all kinds of campus visitors to experience the warm and inviting Hoosier hospitality provided by you and your College Inn team. Board members, VIPs, guest lecturers, faculty candidates, administrative candidates, consultants, parents, and grandparents are among those that have enjoyed the first class service and excellent life experience in the attractive and inviting College Inn Bed and Breakfast. 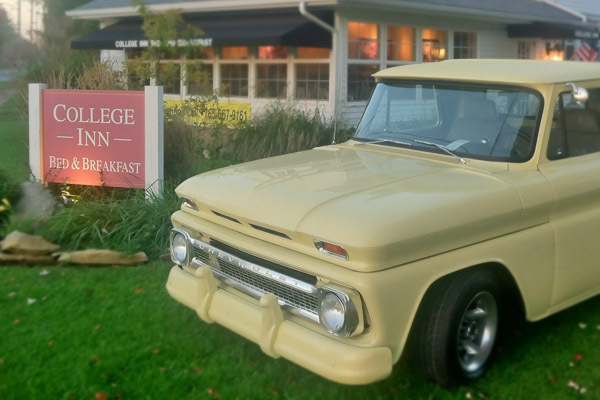 Through the years it has been my pleasure to bring guests to College Inn or to join them for breakfast and observe the hospitality, service, and welcoming experience they enjoy during their stay. You, your wife, and your College Inn team are to be commended for the attractively inviting décor of each room and the kind and considerate service they receive. The emphasis you place upon relationships is a distinctive that our University guests delight in sharing with us as a result of their stay. Thank you for your commitment to excellence in service and experience for Indiana Wesleyan University guests. 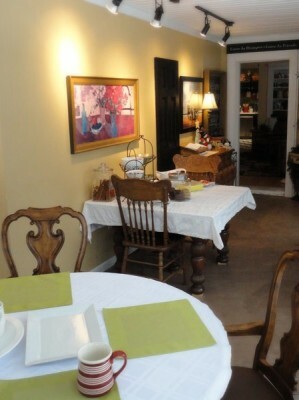 It is to our benefit to have the College Inn Bed and Breakfast across the street from the university. Choose the College Inn for a comfortable night’s sleep, conveniently located directly across the street from Indiana Wesleyan. We’re the perfect destination for parents traveling to the area to catch the latest games. For a complete 2012-2013 Wildcats game schedule, click here.